Let me start by saying that I am usually against these keyboard cases. In my mind and in Apples the iPad is the first post PC computer. Post PC means that having a keyboard and mouse attached to your device is no longer a must. When you put your iPad into a keyboard case like this, you are not using the most elegant solution. Not to mention these things usually have a cheap keyboard parts that really don’t work well. Lets see if Zagg can change this. The actual hardware of the case seems to be extremely well built. It is all wrapped in a fo-leather and feels great in the hand and doesn’t smudge up easily which is good. There are all the proper openings for all of the current generation iPads. That includes iPad 2, 3, and 4. The rear speaker of the iPad appears to be covered with the case, but what it is actually doing is sending the sound to the front of the device. This makes the built in speaker of the iPad sound better and louder. When you fold the iPad down into the case, it has the same magnets as the iPad Smart Covers do to auto lock and unlock the device. 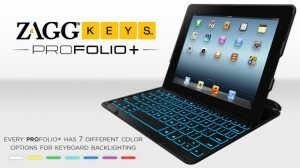 If you’ve ever typed on the Apple Bluetooth keyboard, you’re going to be right at home here. They keys almost feel the same as they do on the Apple keyboard just a little closer together although the Zagg keys have a little more push back. All in all, I really enjoy typing on this. I have fairly large hands with stubby fingers and found it just as easy to type on as a full size keyboard. Not all is well though. You’re going to have to change the way you do a lot of things on a keyboard. 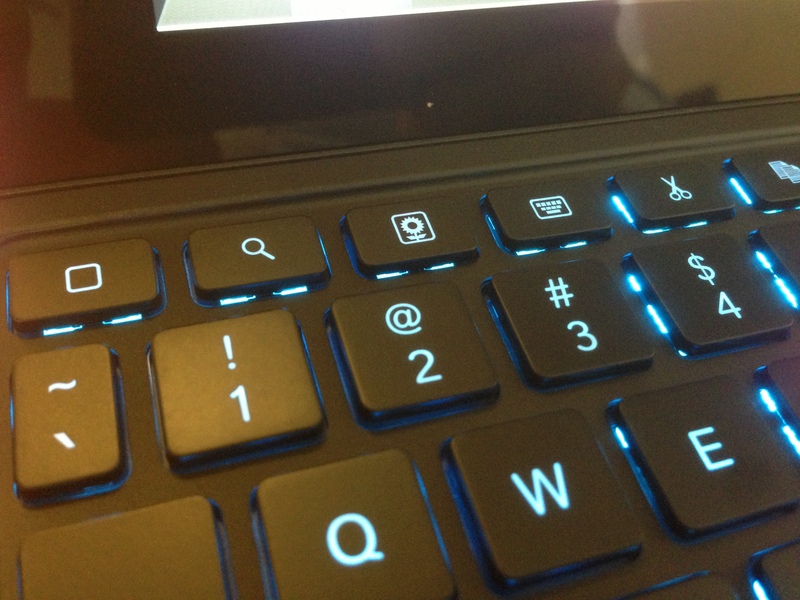 For example, there is a command key on this keyboard, but I don’t know why. There are the copy and paste shortcuts at the top of the keyboard and they work. But doing CMD-C and CMD-V are not going to work like you might be used to. This version also has backlit keys. You can even make the backlight change colors. Not something I think is really all that useful, but cool. Keyboard cases all have this issue. You have to keep your iPad in the case. You then don’t really have the option of using your iPad as an iPad again. You always have to use it in this stand mode with the keyboard attached to it. It defeats the whole purpose of having an iPad in my opinion. Yes, you can take it out of the case but then why did you spend $99 on a Bluetooth keyboard case? Getting this thing out of the case is not something you are going to accomplish quickly. Plus you’d have an extra piece of hardware sitting around. 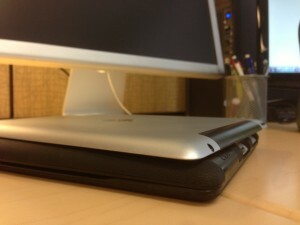 As far as keyboard cases go, Zagg has made on of the best that I have seen and used. If you are okay with actually keeping your iPad in this thing all the time this would be the one that I would recommend hands down.